To ascend Sagarmatha is to immerse in instrumental storytelling at its best: a metaphysical rock opera not intended for casual listening. 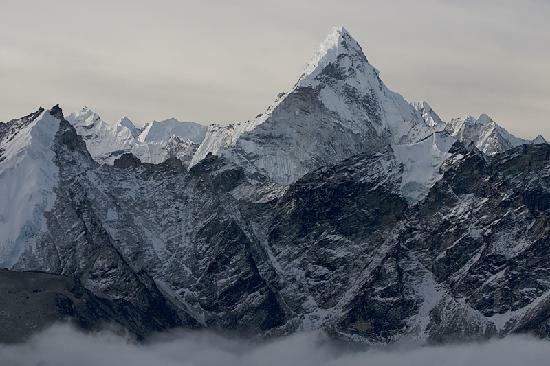 It is no wonder Appleseed Cast’s latest album is titled Sagarmatha, Nepalese for Mount Everest. The Lawrence-based band’s effort represents a journey into unfathomable heights, where the debut song seems in awe of a far-off mountaintop with recurring instrumental interludes that sound as if they hailed from an angelic choir. In the album’s third and fourth tracks, “The Road West” and “The Summer Before,” the euphoric state is snapped by oxygen-starved vocals stained in second-guessing. The pinnacle, once thought unattainable, is reached in the final track, “An Army of Fireflies,” where bombastic drum and guitar play evokes images of conquest; the entire world lies below. The matter of getting down. Unless, that is, you’re a daydreamer.